What a game! Time for an ice bath and a protein shake. Join us on Saturday? I hope so. Wales Women take on Ireland Women on Saturday morning at Cardiff Arms Park. Wales will pay tribute to Elli Norkett who died in a car crash on 25 February. Norkett, 20, was the youngest player at the 2014 World Cup and won four caps having also played for Wales Sevens. The match shirts will carry a special embroidered message while the players will pay their own personal tributes. Darren: To all the critics out there....... well done Rob Howley. Ireland coach Joe Schmidt: "Wayne Barnes was on the spot, you can't join the maul in front of the ball. Did it have a material effect? I don't know. I think we would have scored anyway. "It was tough. We scored 10 points in the 10 minutes we were down to 14 men and that's hard to come back from. "We had good pressure on, there were a number of things we have to be better at. It's incredibly frustrating. We can't win the championship. "Johnny Sexton got locked in there, it's very difficult I thought it was tough but you are always at risk of that close to your try line. "Credit to Wales. When they are under pressure they come up with big moments." Ireland captain Rory Best: "We are very disappointed, we came here hoping and expecting to win and keep everything alive. Credit to Wales but we are frustrated with the errors we made. On his disallowed try at the end: "We felt we were mauling well but Wayne Barnes is a top referee and that is one error we made which we are most disappointed with. "I haven't seen it back so it would be wrong of me to comment. He's a quality referee." Wales coach Rob Howley: "We knew there would be a reaction and against one of the best sides in rugby you have to play like that both with and without the ball. "I'm delighted for the players, they have taken a lot of stick and we beat Ireland emphatically. "George North? When you praise them too much they sit back, if you criticise them too much they go into their shell so it's a fine balance. 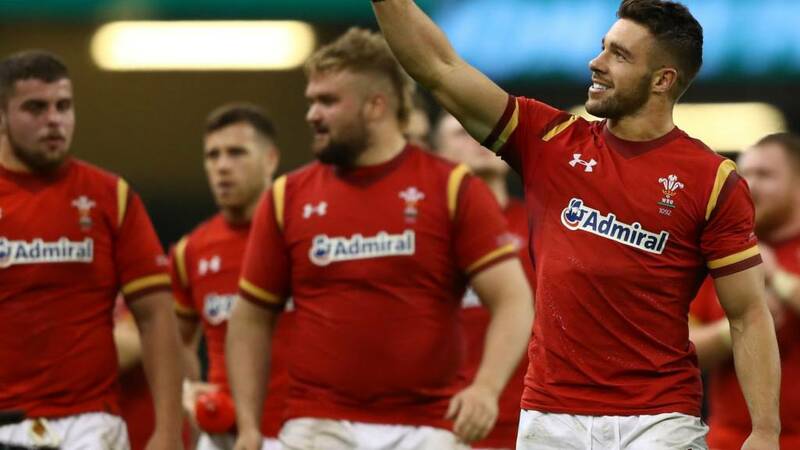 "It was a great advert for Six Nations rugby. "I'm delighted and proud. Between 68 and 72 minutes was the key, we held Ireland up, had a fortunate penalty and got out of trouble." If Scotland take to Twickenham what they showed against Ireland for 40 minutes and manage to sustain that, they have every chance to win. But you look at England's bench and you feel that if it's anywhere close with 20 minutes to go England will pull away. The leading tacklers for Wales? Twin flankers Sam Warburton and Justin Tipuric led the way for the hosts with 18 apiece. Want to know which one of them made Jeremy Guscott's Six Nations wrecking crew? Rhys Cadogan: That Welsh side played for the fans and they were excellent! An epic game of rugby! Tom Mak: Did wales win or did Ireland lose that with their errors? De Wet: Centres joining rucks? Expensive little experiment. Leigh Halfpenny made some mistakes, he dropped some balls and he wasn't a great attacking threat. He covered so much ground. But it was great from George North. We want to see that every week. It's a bit disappointing that he needs a rocket to perform like that. Johnny Sexton knew where his body was balanced. He could have released and rolled over. And you run the risk of the yellow card in that position. The Wales players are still out on the pitch celebrating with the few fans who have stayed out there. The Friday night scheduling means that many had to make dash bang on the whistle. It was a stunning game of international rugby. The best game since we went from five to six nations? There are a few contenders for that. The intensity for Wales to put in 102 tackles in the second half and Ireland 90 in the first. It was compelling. We queried the selection, the whole Wales 23. There was an awful lot of trust and pressure placed on those players. Tipruic and Warburton were excellent. They out-classed the Irish back row. They fully deserved their win. It was as compelling a game of rugby as you can have. I'm not complaining about this score, the facts are and I hate to say it, we are too reliant on Murray & Sexton, the rest of the team need to step up and if they were good enough they would?! SMS Message: Webb Man of the Match?!? He gave away 2 penalties as well as poor passing & signalling his intentions. Surely it should be North. from Chandler, Swansea. Webb Man of the Match?!? He gave away 2 penalties as well as poor passing & signalling his intentions. Surely it should be North. Steve Mather: Phew Tipuric & Warburton immense. What a fantastic game. Zeb Bowyer: Over 300 tackles made in a crunching, bone splitting Six Nations encounter; the Welsh dragon breathes fire again. Warriors. Don't forget that the fun continues on the Six Nations forum on the red button or on the top of the page now.